The name “Ripley” conjures up a variety of images for different people. Neal Thompson, in his biography, A Curious Man, has attempted to sketch a portrait of Robert L. Ripley, the man, and bring the audience into the world that Ripley lived in. A Curious Man by Neil Thomspon. Starting as a Midwestern Sports Cartoonist, Ripley always held a fascination with different cultures, which only grew as he traveled. From American “yokel” to a well traveled “gentleman” Ripley created his brand and became one of the most popular entertainers in America, featured in weekly newspaper columns, radio shows, and television when it became an accessible form of media. 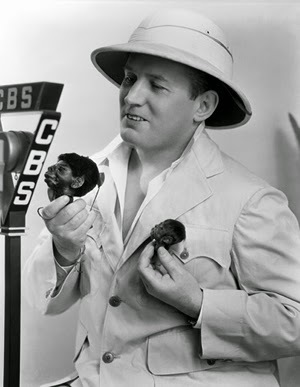 Ripley, wearing "travelling clothes" poses with a shrunken head at CBS studio. Thompson notes that Ripley, as a product of his time, was unsurprisingly racist, often complaining about different ethnicities including “Mohammedans” of the Middle East and their “headache scarves” (his term for turban). It should come as no shock that Ripley harboured these prejudices, or that he saw no problem with putting people he deemed “interesting” and “unique” on display. 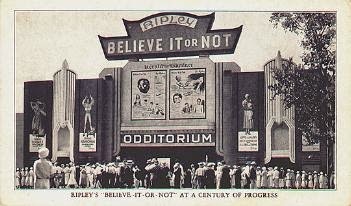 Ripley's Odditorium at the 1933 Chicago World Fair. Ripley loved collecting, and even treated his home on “Believe It or Not Island” (BION Island) as his own personal museum. Unfortunately Ripley did not leave his affairs in order, and when he died most of his personal collection was auctioned off to various parties. His brand survived however and was even purchased by a Canadian, Alec Rigby, (explaining why the second-oldest Believe it or Not Museum is found in Niagara Falls). Ripley's Believe It or Not Museum in Niagara Falls, ON. Even though Thomson’s book is a biography of Robert L. Ripley, it still raises questions relevant to perceptions of museums. While today we see the ethical dilemmas posed by side-shows and other attractions that put humans on display, (One feature of Ripley’s Odditorium at the Chicago World Fair was entitled “The Darkest Africa” and featured a village of thatched roofed huts inhabited by Zulu and Senegalese immigrants from Harlem dressed in loincloths and carrying spears) one can not dispute that these sorts of attractions had a museum-like quality about them. Today, Ripley Entertainment has 32 “Odditoriums” around the world, many of which are referred to as museums. While these are often seen as the epitome of kitsch; as tourist attractions and forms of popular entertainment, does that deny them the label of museum? 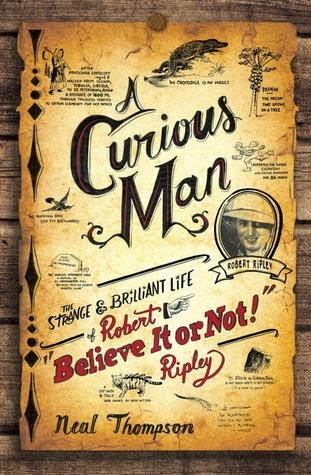 It’s quite shocking that no other biography really exists of a man as “curious” as Ripley and Thomson does a good job pouring through primary sources tracing through every aspect of Ripley’s life. The book provides not only a look at the life of Robert Ripley but also provides insight into American society more generally and the notions and ideas surrounding popular entertainment.